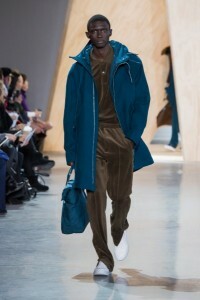 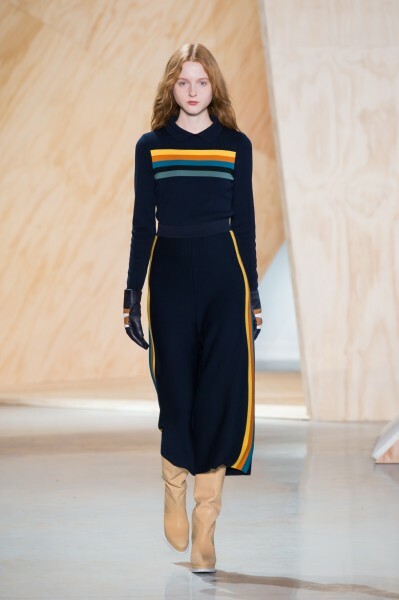 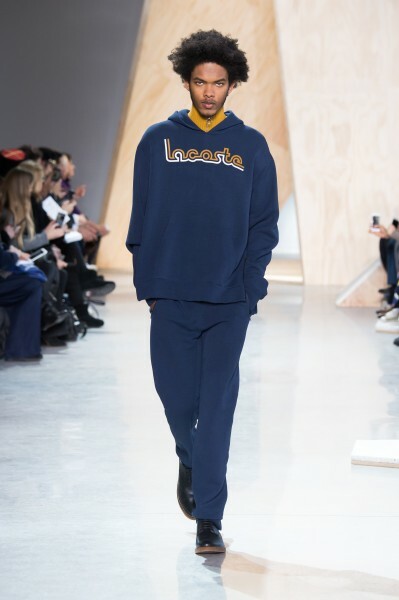 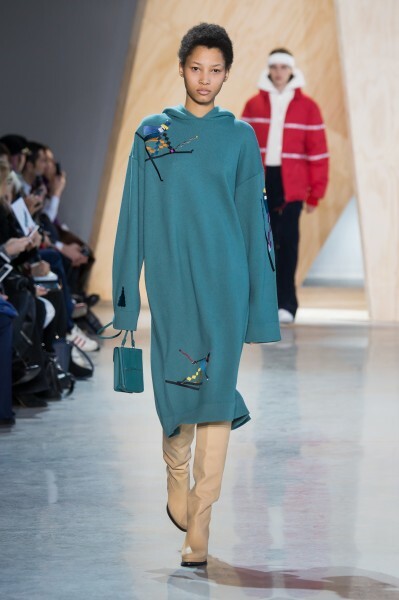 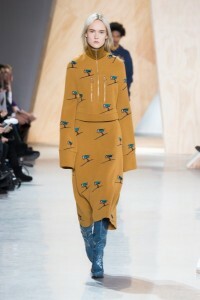 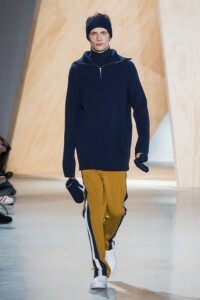 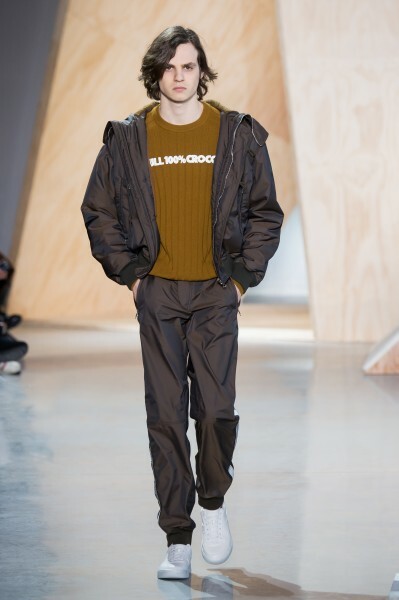 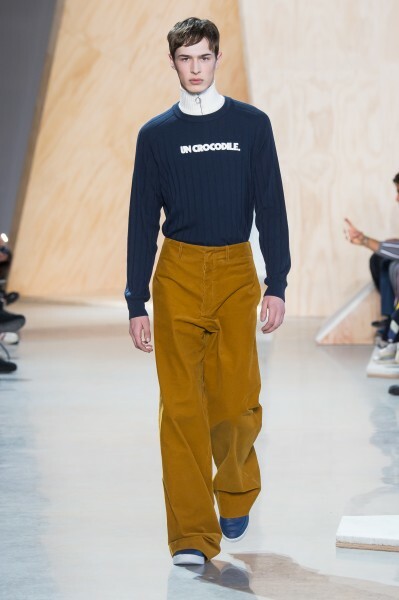 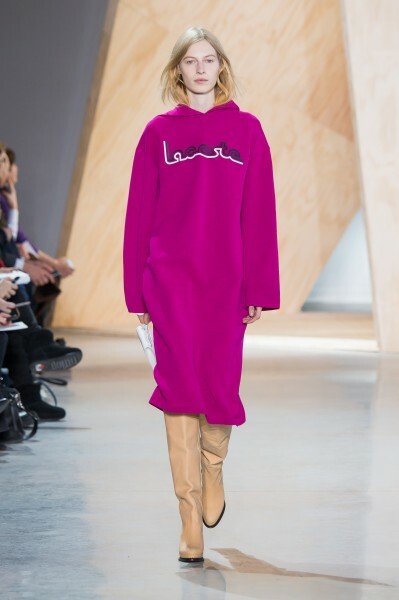 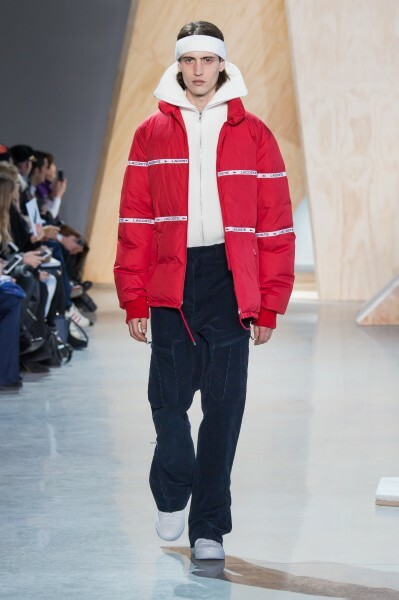 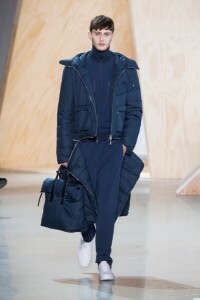 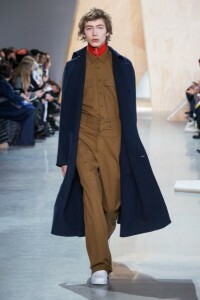 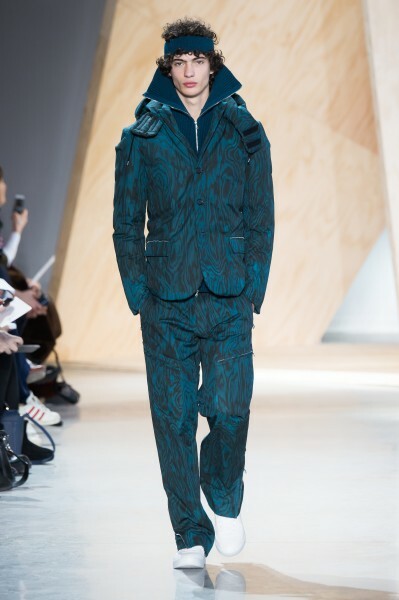 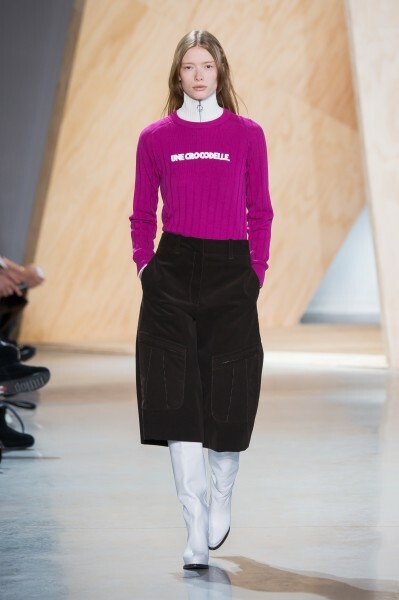 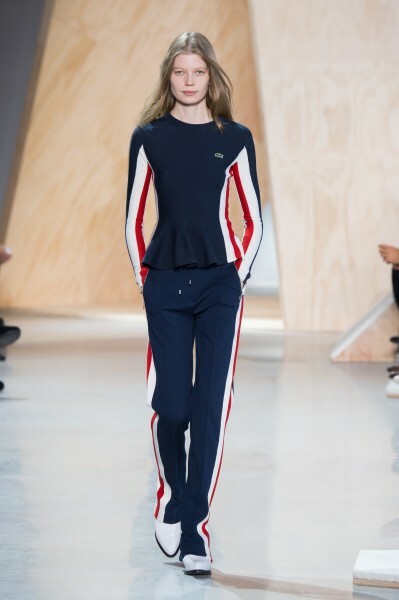 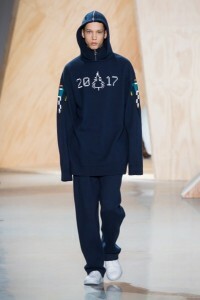 The Lacoste Fall 2016 collection was inspired by three different eras: the French Ski Team’s late ‘60s modern outfits and the movie “Belle du Jour;” the label’s slogans from the ‘70s, including “100% CROCO” and “CROCODELLE;” and the ‘80s for their old-school video game character embroidery. 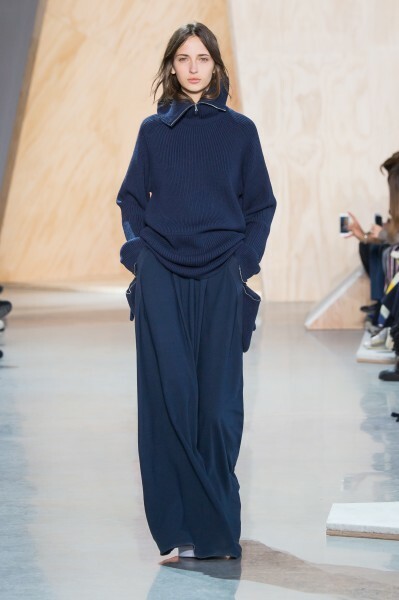 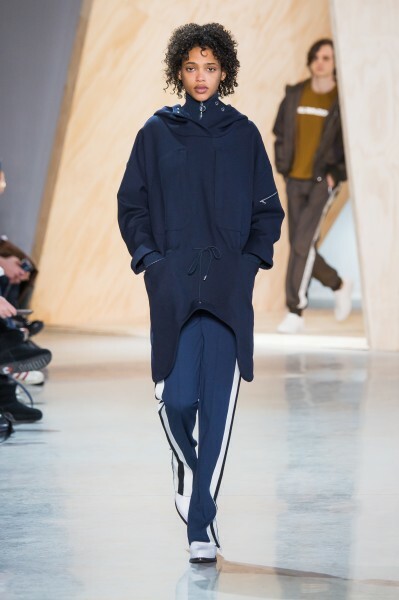 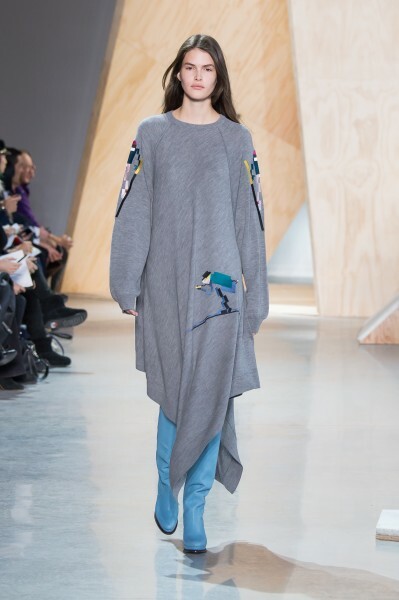 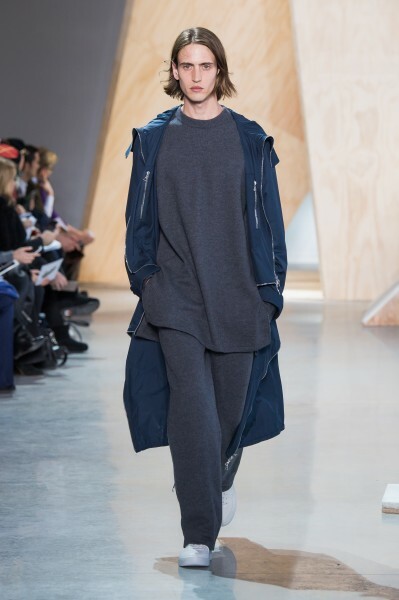 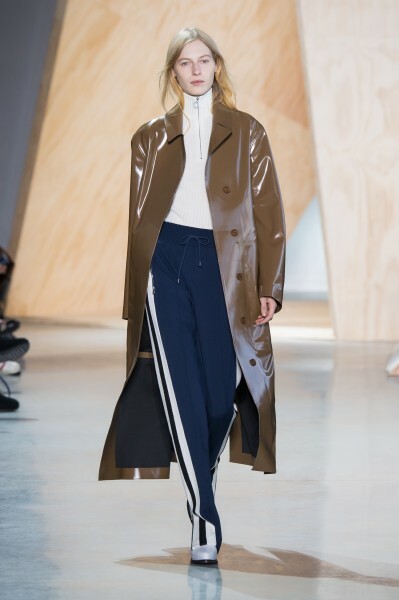 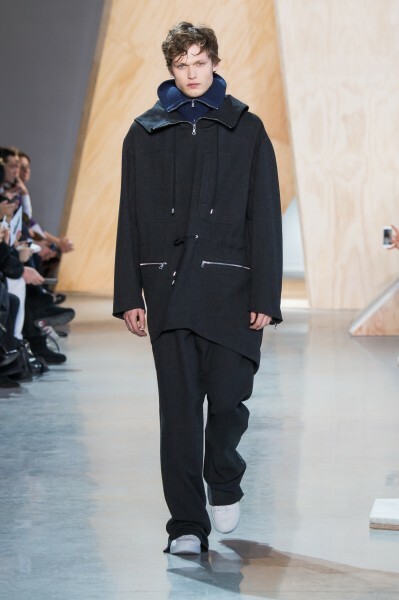 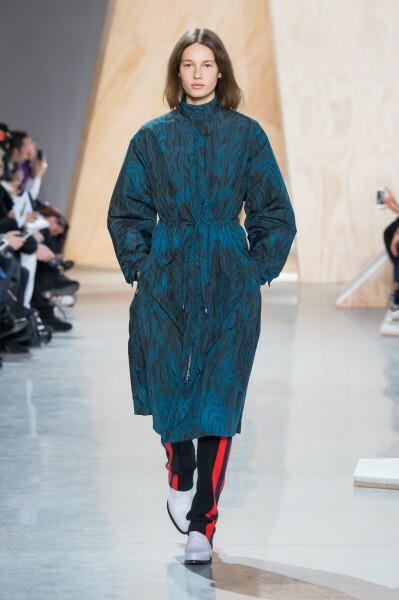 With these in mind, creative director Felipe Oliveira Baptista adds a major dosage of cool into multi-purpose pieces for next winter. 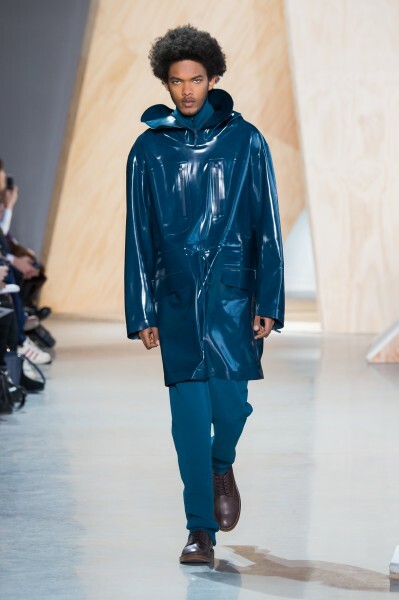 To protect from the elements, coats were specifically designed to “become a shelter…a cocoon.” Indeed, the opening number introduced a shiny, loose black coat that looked like it would repel any water element. 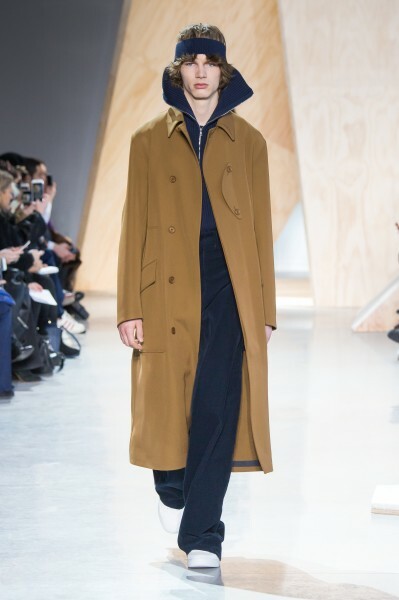 Shearling coats in navy blue and black were nicely accented with creamy off-white interiors, and trench coats in turquoise and navy blue looked cosy enough to curl up and sleep in. 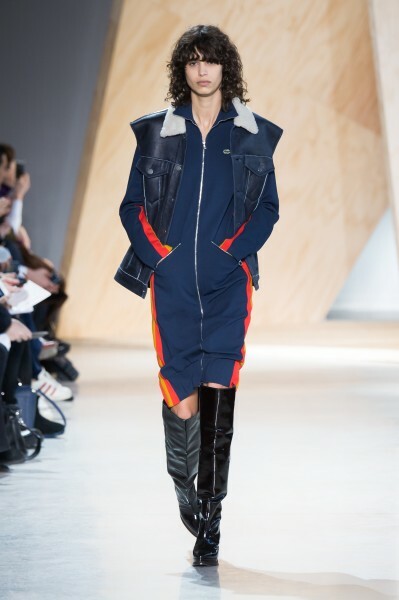 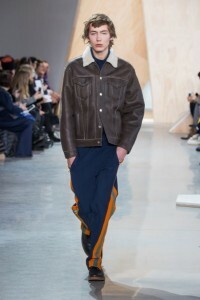 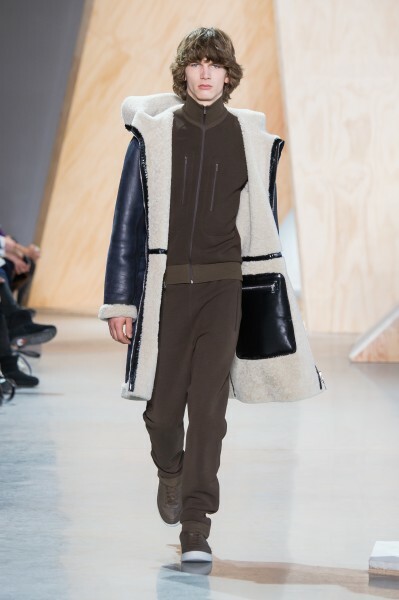 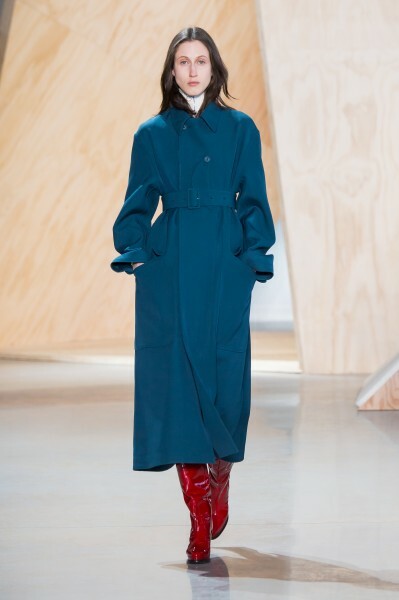 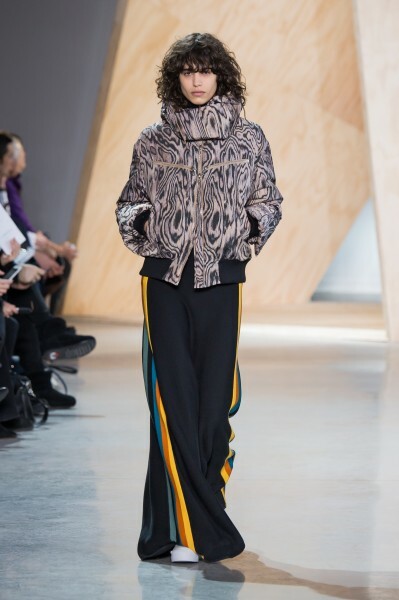 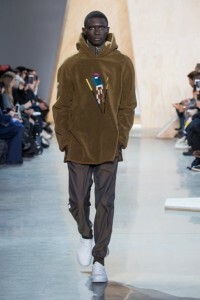 Pieces such as the shearling coats and a wood grain printed puffer jacket have zippers incorporated into them to allow the individual to remove the lower half or keep it open. 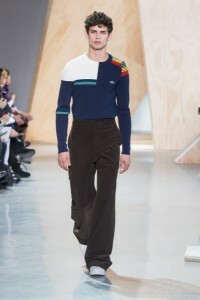 Orange, magenta, brown, blue, green and red dominated the color scheme. 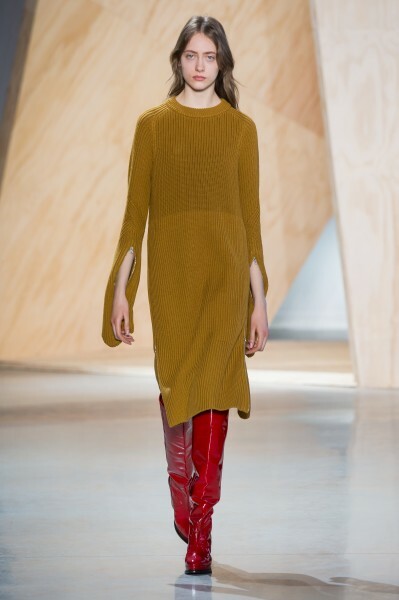 For accessories, women modeled bright red, brown, or black shiny high heeled over-the-knee boots, while men wore white trainers. A few men modeled a scarf with a hoodie. 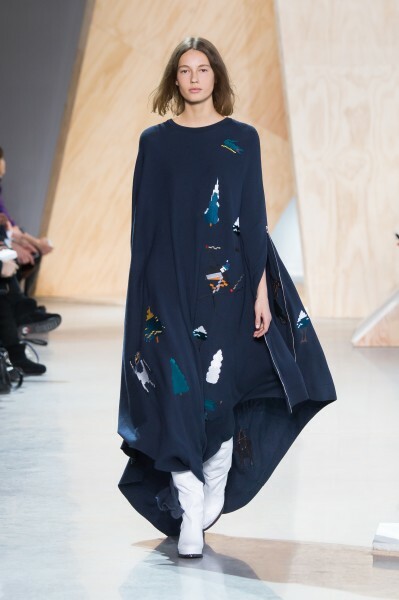 Key details included video-game inspired images of skiers, various trees, and a crocodile (of course), adorning a women’s loose navy blue tunic and a men’s hoodie.